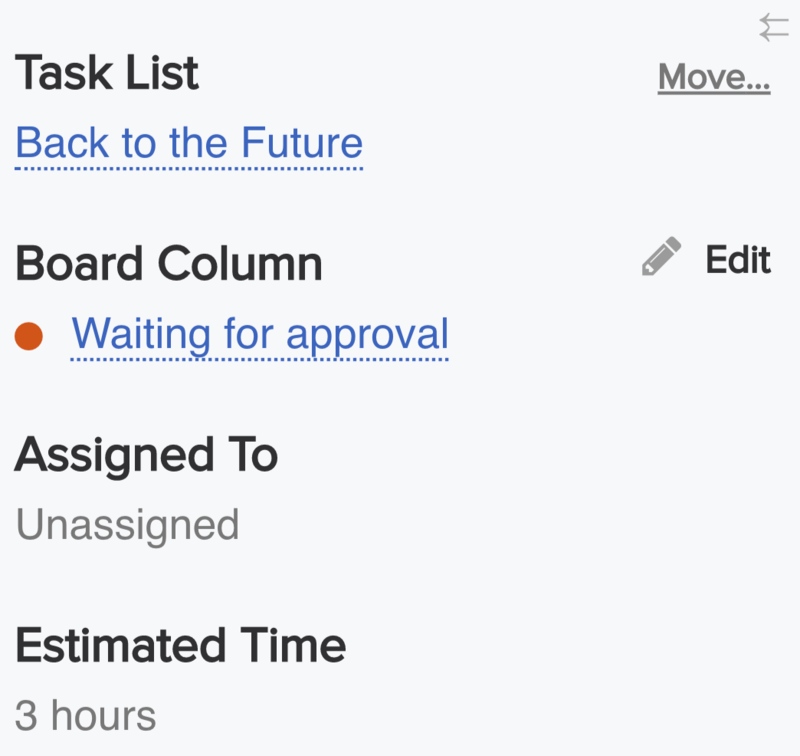 Within Teamwork Projects, you can assign a board column to a task while in list view. When creating or editing a task, select the board tab, where you can choose from your existing board columns. Alternatively, hover over an existing task and select the board icon. You can then choose an existing board to assign the task to. 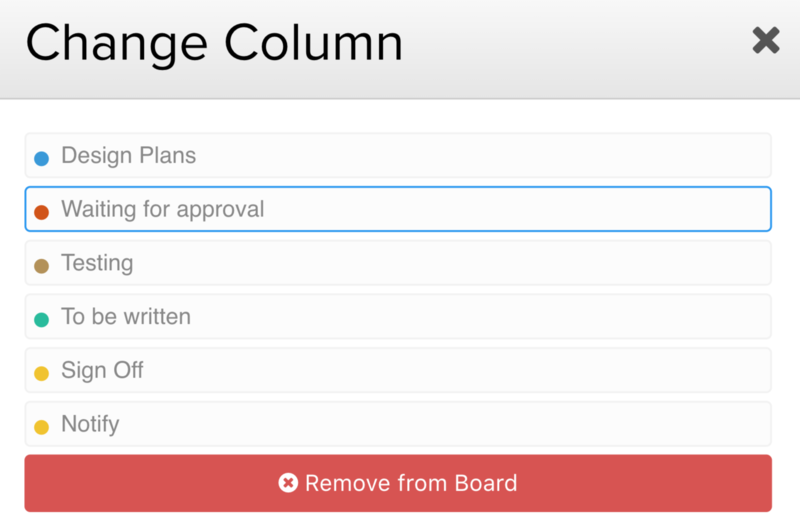 This can also be used to change or remove the board column associated with the task. Once a board column has been assigned to a task, you will see it listed beside the task name. When viewing an individual task, you can also change the board column the task is associated with, from the task details sidebar. If the task is already part of a board column, you will see the column listed in the left pane. 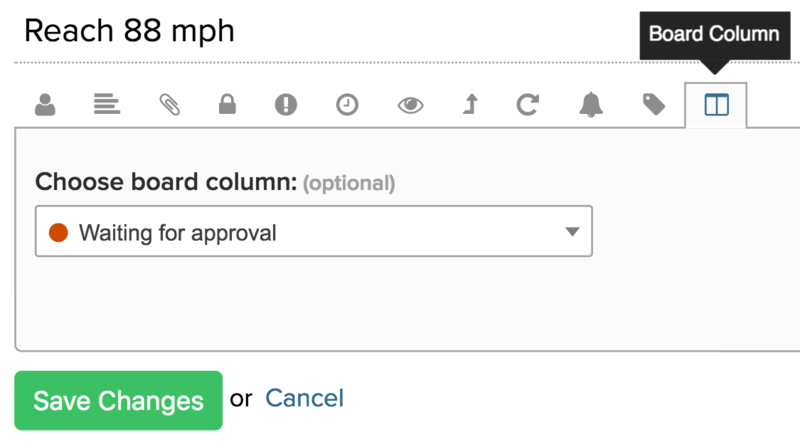 Hover over the column to reveal the edit option. 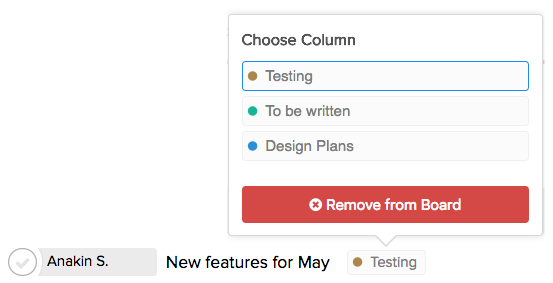 In the modal that opens, you can then select a different column, or just remove the task from the board entirely.